Carrying on the tradition of "Keeper of the Craft"
Scott B. Lesser Custom Builder is owned and operated by Scott B. Lesser son of the late, Bruce T. Lesser. Scott started working with his father when he was a young boy. Working side-by- side, Scott learned the commitment to customer service, as well as a passion for the fine woodworking he is doing today. Scott started the business in March of 2006. In the last 11 years Scott B. 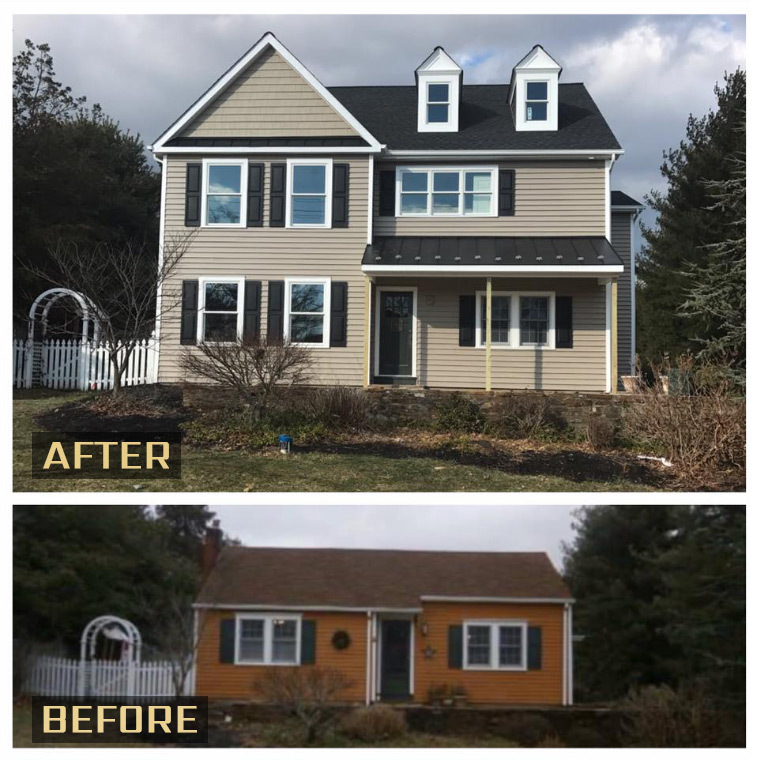 Lesser Custom Builder has become a premiere builder/renovator in Bucks County. Bucks County proudly wears the imprint of many beautiful custom homes, buildings and renovations, conceived, designed and built by Bruce T. Lesser. Bruce was successful for many reasons, but mostly due to his wonderful eye to the details, his craftsmanship and his love of architecture. The tradition carries on today, in Scott's work. This photo is a home renovation, transforming a one-story home to a two- story, clearly showing the capabilities of Scott's business. As a fine craftsman, Scott cares about his clients and their projects. He prides himself on keeping his customers ideas in mind, turning their dreams into reality, all the while, having a passionate and professional work ethic. Each project is handcrafted, with attention to detail and passion for each. If you are looking for a custom kitchen or bathroom, an entertainment center or an entire addition added on to your home, let Scott B. Lesser Custom Builder, LLC be your builder of choice. Call Scott about your new project today, 215-968- 6386.